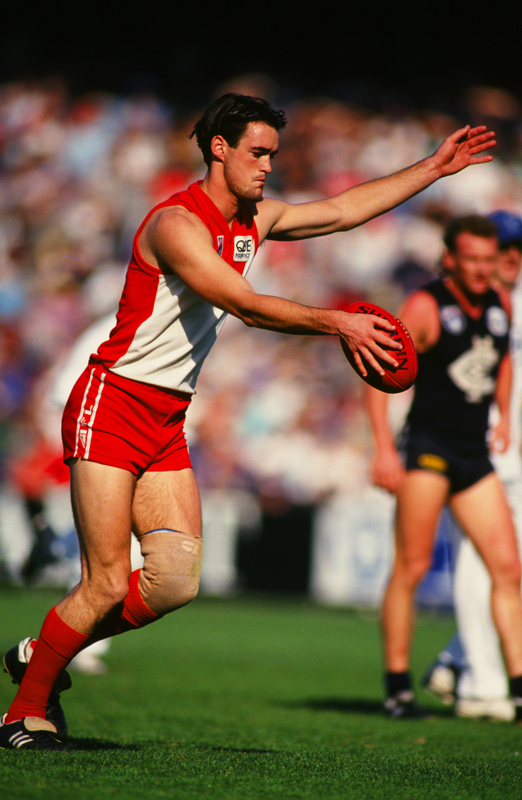 Selected at pick 38 in the 1986 VFL Draft by Carlton, Simon Minton-Connell was a leading key forward who played for no fewer than four clubs in his 12 year career, amassing 112 games and 305 goals in the process. Despite his career moves, Minton-Connell was an effective forward by today’s standards, if overshadowed by the more glamorous and prolific spearheads of the era. Averaging 2.72 goals per game, he retired to local league football in Victoria as a player and coach.